Marlene Nixon, 76, of David City(formerly of Wakefield) died Thursday, March 9, 2017, at her home. Tuesday, March 14, 2017 11:00 a.m.
Visitation Monday, 5:00p.m. to 8:00 p.m.
Marlene A. Nixon was born February 1, 1941 in Sioux City, Iowa to Marland and Clarice (Erwin) Schroeder. She graduated from Wakefield high school and later attended Wayne St. College and earned a Bachelors degree in teaching. On August 18, 1961 Marlene was united in marriage to “Mert” Nixon at Salem Lutheran Church in Wakefield, Nebraska. She began teaching at the age of 18. Marlene taught elementary special education in West Point, Guardian Angel, Pender/Thurston and other rural schools, retiring in 2008. She and “Mert” had lived in Wakefield, Pender, Thurston, Minnesota, and have lived in David City for the last 5 years. 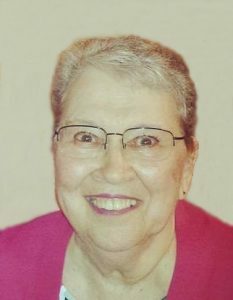 She was a member of Gamma Iota, and St. Luke’s Methodist church in David City, where she was very active, and was a member of the Bible study group. Marlene loved her grandchildren and great grandchildren, they were her life, along with her whole extended family and friends. Her big heart and beautiful smile will be dearly missed. She was an avid sports fan, and loved all sports. Her and “Mert” rarely missed the grandchildrens sporting events. She is survived by her husband “Mert” of David City, Son Vaughn Nixon of Sioux City, Iowa, Daughters Marci (Mark) Starzl of Omaha, Amy (Jerry) Abel of David City, Brother Bob (Carole) Schroeder of Mesa, AZ, Sisters Cindy (Lynn) Sellers of Inman, Terri (Pat) Starzl of Mesa, AZ. Grandchildren, Elijah Starzl, Taylor (Mark) Sloup, Shay (Keaton) Prochaska, Allie Starzl, Chaquoya Givens, Kordell Abel, Jacob and Aubrei Nixon. Great Grandchildren, Grady Starzl, Dawsyn Sloup, Greyson, Liv and Finn Prochaska, Jace Greene. She was preceded in death by her parents, grandson Ethan Nixon, Brothers-in-law Eldy and Willie Nixon.